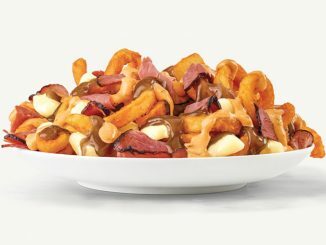 Arby’s Canada offers a new twist on the brand’s curly fries with the introduction of new Gyro Loaded Curly Fries. 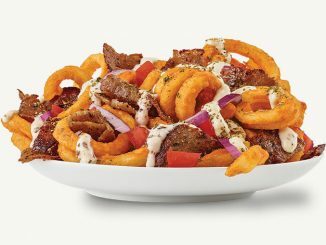 The latest limited-time offering features curly fries topped with traditional Greek gyro meat, diced tomatoes, red onions, gyro seasoning and creamy tzatziki sauce. 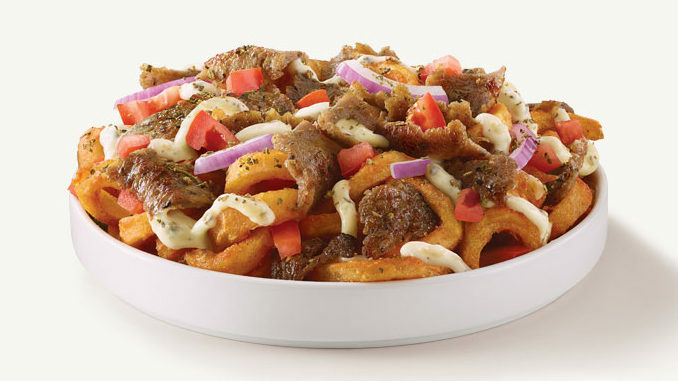 In addition to the new loaded curly fries, the company also announced the limited-time return of Gyros to the menu. In some parts of the country the gyro is better known as a donair. Arby’s Gyro menu includes the Traditional Greek Gyro, Roast Beef Gyro and Turkey Gyro. 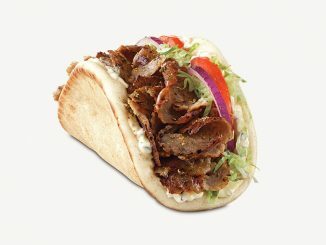 The Traditional Greek Gyro consists of gyro meat, gyro seasoning, diced tomatoes, onions, shredded lettuce and tzatziki sauce on folded flatbread. Both the Roast Beef Gyro and Turkey Gyro feature the same ingredients with thinly sliced roast beef and sliced roast turkey in place of the gyro meat.